Provide comfort for the family of Roger Strickland with a meaningful gesture of sympathy. You are near , even if I don't see you. 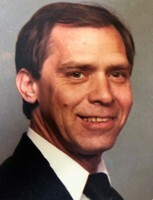 Mr. Roger Wayne Strickland, 76, of Rocky Mount, NC, entered into eternal rest on Monday, March 12, 2019, at the Nash UNC Health Care Center, Rocky Mount, NC. Funeral arrangements will be observed privately. To send flowers in memory of Roger Wayne Strickland, please visit our Heartfelt Sympathies Store. Provide comfort for the family of Roger Wayne Strickland by sending flowers. My condolences to the Strickland families. Some Bible scriptures that have helped me during times of loss include Isaiah 26:19 and Psalm 37:28,29 which states in part: "Your dead ones will live...They will rise up". And the Bible also says "The righteous themselves will possess the earth and they will forever reside upon it". Therefore the Bible promises that we may be reunited with our loved ones lost in death by means of an earthly resurrection. This is further confirmed by John 5:28,29 which says "Do not marvel at this, because the hour is coming in which all those in the memorial tombs will hear his voice and come out". This is possible thanks to Jesus Christ's ransom sacrifice. Thus we have a genuine hope of everlasting life in a world without wickedness or suffering.